Day trading Forex strategies are more action packed and require traders to be present at the trading station throughout the session. It's widely accepted that the narrower a time frame a trader works within, the more risk they are likely to be exposed to. That's why day trading can be described as one of the riskiest approaches to the currency markets. It's not really the different Forex trading strategies that day traders have to use that increases the risk. In fact, the overall logic is the same for almost any interval out there. Rather, it is that Forex day trading rules tend to be more harsh and unforgiving to those who don't follow them. The two factors that no intra-day trader can do without – irrelevant of the Forex day trading strategy they intend to use – are volatility and liquidity. It might seem like a good thing for any kind of trader, but short-term traders are far more dependent on them. Volatility is the magnitude of market movements. When trading short-term, solid volatility is a must. This basically reduces the selection of instruments to the major currency pairs and a few cross pairs, depending on the sessions. Speaking of sessions, since volatility is session dependant, knowing when to trade is as important as knowing what to trade. Liquidity is equally important. Intra-day trading is very precise. A long-term trader can afford to throw in 10 pips here and cut 10 pips there. A short-term trader can't, because 10 pips could be the whole profit projected for a trade. This precision in Forex comes from the trader's skill of course, but rich liquidity is important too. If there is no liquidity, the orders will simply not close at the desired price, no matter how good the trader is. This once again limits intraday traders to a particular set of trading instruments and trading times. Scalping is a day trading Forex strategy that aims to achieve many small profits based on the minimal price changes that may occur. Scalpers go for quantity trades, opening almost 'on a hunch', because there is no other way to navigate through the market noise. Scalping can be exciting and at the same time very risky. Scalpers must achieve high trading probability to balance out the low risk to reward ratio. Probably the hardest part of scalping is closing losing trades in time. A scalper simply can't afford to wait for the market to come back. If you are aiming to become a scalper, consider developing a sixth market sense – look for volatile instruments, good liquidity, and perfect execution speed. If mastered, scalping is potentially the most profitable strategy in any financial market. It is only the adjacent risks that prevent it from being the best Forex day trading strategy. Reverse trading is also known as pull back trading, counter trend trading, and fading. The risk comes from the basic principle of trading against the trend. A reverse trader has to be able to identify potential pullbacks with a high probability, as well as to be able to predict their strength. Although not impossible, it does require a lot of market knowledge and practice. The 'Daily Pivots' strategy can be considered a special case of the reverse trading strategy, as it specialises in trading the daily low and daily high pullbacks and reverses. This is a pretty simple day trading Forex strategy that specialises in searching for strong price moves paired with high volumes and trading in the direction of the move. A high level of trading discipline is required in momentum trading, to be able to wait for the best opportunity to enter a position, and maintain solid control to keep focus and spot the exit signal. Day trading is often advertised as the quickest way to make a return on your investment in Forex trading. However, what the the adverts fail to mention is that it's the most difficult strategy to master. As a result, many beginner traders try and fail. Through years of learning and gaining experience, a professional trader may develop a personal strategy for Forex day trading. Forex day trading is strictly carried out within one day, and trades are always closed before the market closes on that same day. Those who trade in this way are referred to as day traders. A Forex day trading system is usually comprised of a set of technical signals, which affect the decisions made by the trader concerning buying or selling on each of their daily sessions. The system can help traders to navigate the market much more efficiently and confidently, with the aim of allowing them to gain more profit. In the past, the activity of Forex day trading was limited to financial organisations and professional speculators. The majority of day traders were the employees of banks or investment firms, who specialised in equity investment and fund management. However, with the introduction of electronic trading and margin trading systems, the day trading system has now gained popularity amongst 'at-home traders'. With easy access to Forex trading, now almost anyone can trade Forex from the comfort of their own homes. People choose to go into day trading for various reasons. However, a factor which is likely to have made this activity much more popular over recent years is the fact that day traders do not incur the 'Swap', which is a fee that is incurred when a position is kept open overnight. How Do Forex Day Traders Make Profit? Day traders leverage large sums of capital to make profits by benefiting from small price changes among the highly liquid indexes, stocks, or currencies. In other words, these traders are not looking for large dips and peaks in the prices. Instead, they are happy with small, moderate movements, but their trade sizes are bigger than the ones owned by traders that invest over longer periods. As a day trader, the main aim is to generate a substantial amount of pips within a particular day. Ideally, you should generate returns on both the highs and lows of the assets. The entries in the different Forex day trading systems make use of similar kinds of tools which are utilised in normal trading - the only difference is in the timing and approach. With day trading, you generally expect to make less profit per trade, yet you expect to achieve far more trades. Scalping: In this system, the buying or selling takes place instantly after the trade achieves profitability. In this trading type, the target is to attain profitability when you are up by just a few pips. You can expect to trade a lot and generate quite a large volume. However, the income per trade is rather small. Fading: This system involves the shorting of stocks, an index or a currency pair, immediately after upward moves. In this form of day trading, the price target is set when buyers start to step in again. In other words, you are aiming to make pips on the market moves that try to restore the past price of an asset. Daily Pivots: In this system, the profit is gained through the volatility of the daily prices of assets. The buying or selling takes place during the low period of the day, and closing of the trade occurs at the high period of the day. The price target here has a similar pattern as mentioned above. Momentum: In this type of Forex day trading system, trading is usually performed on news releases, or by locating the strong moves which are trending, and which are supported by high volumes. The price target in this strategy is when the volume starts to diminish, and the appearance of bearish candles takes place. You are generally looking into acquiring an asset a few hours before news is released, and then subsequently getting rid of it after the market has moved enough into your direction. Get ahead with trading strategies and tips from Online Trading Academy. Here are just 3 of our successful day trading strategies. Day trading is speculation in securities, specifically buying and selling financial instruments ..... the spreads (bonuses). Some day trading strategies attempt to capture the spread as additional, or even the only, profits for successful trades. You might also want to take some courses specific to day trading strategies and how to be manage your money while trading. A projection of ..
We have put together a series of educational videos that teaches the art of Day Trading and how to develope your own Day Trading Strategies with our help! By Graeme Ballard, eSignal and Advanced GET Trading Specialist. 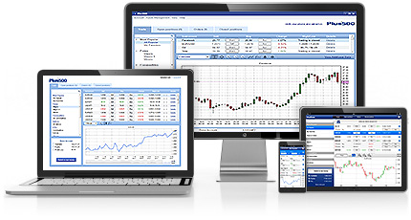 Online stock trading makes it possible for all types of investors to trade throughout the day. .. Trading Strategies - Day trading strategies that most day traders use include leverage and short selling. Learn more about some different day trading strategies. These simple day trading strategies instantly improve profitability: Moving Average, Role Reversal, support resistance, Heiken-Ashi, Candlestick and more. Every trader is different, so each person needs a different trading strategy. Before ... If I could day trade with any strategy for the rest of my career price wedge. Buy The Simple Strategy - A Powerful Day Trading Strategy For Trading Futures, Stocks, ETFs and Forex by Markus Heitkoetter, Mark Hodge: ISBN: . original and new day trading strategies for beginners and expert traders including technical, news and fundamental methods. Do you think day trading strategies start and stop with your trading system? Read the 3 important strategies day traders don't think of. Day-trading, stock-trading, and options trading can make you wealthy, or can run you to the poor-house if you don't learn a system for doing it right.